By a vote of 16–2, the Navajo Nation Council slammed the door on the Grand Canyon Escalade proposal for a mega-resort on the canyon’s eastern rim and a gondola down to the confluence of the Colorado and Little Colorado rivers. The decisive vote came after several hours of debate. It also was the culmination of seven gut-wrenching years of opposition by Save the Confluence families and Navajo citizens, who joined Hopi, Zuni, and Acoma leaders on Tuesday, October 31, to witness the dramatic decision to kill the Escalade bill. Adding a provision that Escalade developers fund the design and construction of a multi-purpose community center for the Bodaway/Gap Chapter. Although they approved the amendments, council delegates still had concerns about what council delegate Dwight Witherspoon called the “absolutely totally one-sided” nature of the proposal and listed many remaining questions. Thankfully, a motion to table the vote for 45 days—giving Escalade partners more time to respond — was rejected. When the Navajo Nation Council speaker ended debate and called for a vote on the revised Escalade bill, questions lingered about the veracity of promoters' promises of revenues and jobs and the integrity of the Escalade partners themselves. Council delegates had to decide whether the amendments they had just adopted were sufficient to vote for its overall approval. At the moment of decision, overwhelming opposition to the project by Navajo citizens, chapter officials, cultural leaders, and neighboring tribes filled the council chambers. Time slowed to a standstill as delegate votes were tallied on the overhead screen. The bill to approve Escalade was defeated by a vote of 16–2. Outside the council chambers, Save the Confluence family members cheered and praised the council's vote. They heard us. We needed to be a presence there to let them know we're not going to go away. We're going to always be here to defend our Mother, to defend our sacred sites. The next morning, Navajo Nation President Russell Begaye said: “Our administration has opposed the development since we came into office. We have been very clear that we will not sign off any agreement for this project." The president expressed his thanks to the council for “respecting the voice of the Navajo people,” and said his administration would continue to protect the confluence. Other tribes praised the council’s decision too. While Save the Confluence families and opponents of Escalade are celebrating this victory, they know that it and other unacceptable projects could come knocking. They will be working with residents, elected representatives, and cultural leaders on measures to protect the rights of grazing permittees, home site lease holders, and traditional practitioners, while permitting community-supported businesses that do not threaten areas of cultural and ecological concern. Save the Confluence family members will remain vigilant. The Grand Canyon Trust honors their perseverance and leadership. We will continue supporting efforts to create respectful and sustainable solutions. OverJoyed this monster was slain. I pray that in the future the People stand strong and never allow that Sacred place to be violated. Thank you for stopping the tram etc. Thank goodness there are still people who value the land for its inherent spirit and beauty more than the dollar. Many thanks to the Navajo Nation Council and those who worked to oppose this project. Some of the more hopeful news I have seen this year. I applaud the Navajo nation for their stand on rejecting this development!! 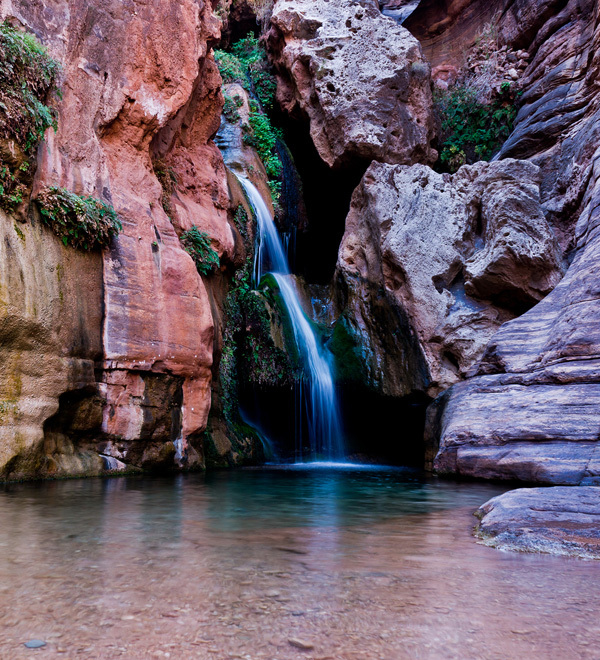 The beauty of this canyon area where the Little Colorado River meets the Colorado itself is sacred to them and as such should stay natural forever ! !